31633 MATTHEW DUTTON & SON, LONDON. 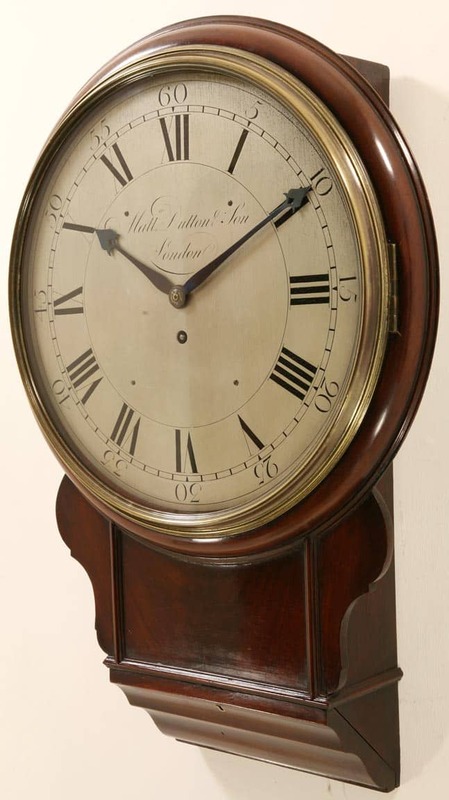 A FINE EARLY MAHOGANY ENGLISH DROP DIAL CLOCK. CIRCA 1795. 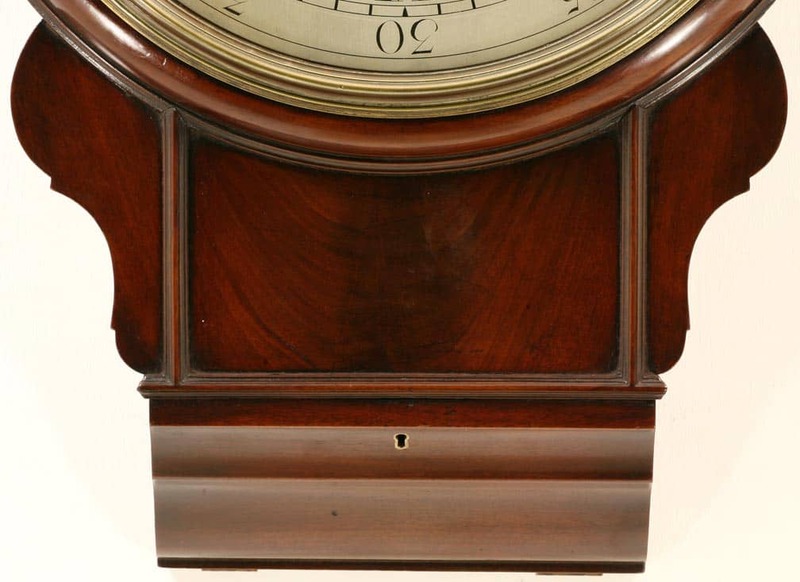 An extremely beautiful mahogany drop dial clock. 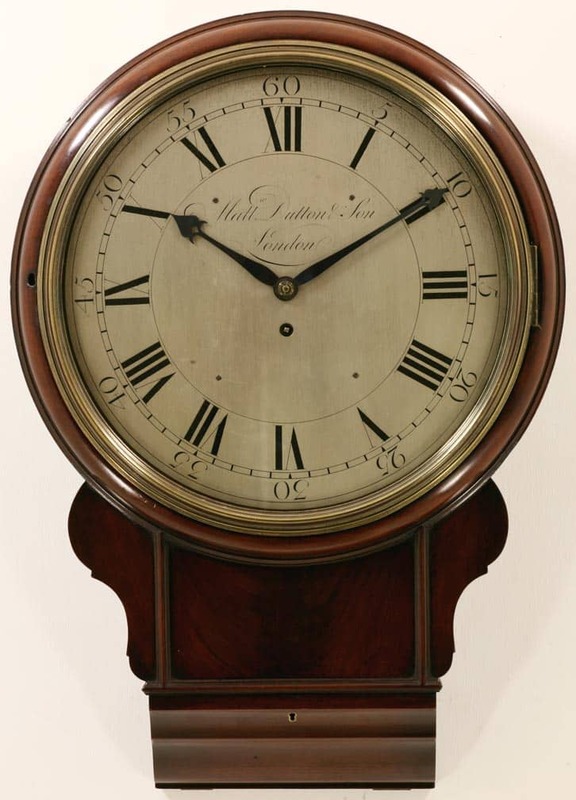 The case in an identical style to those produced by Matthew Dutton’s father, William Dutton, when in partnership with Thomas Mudge. 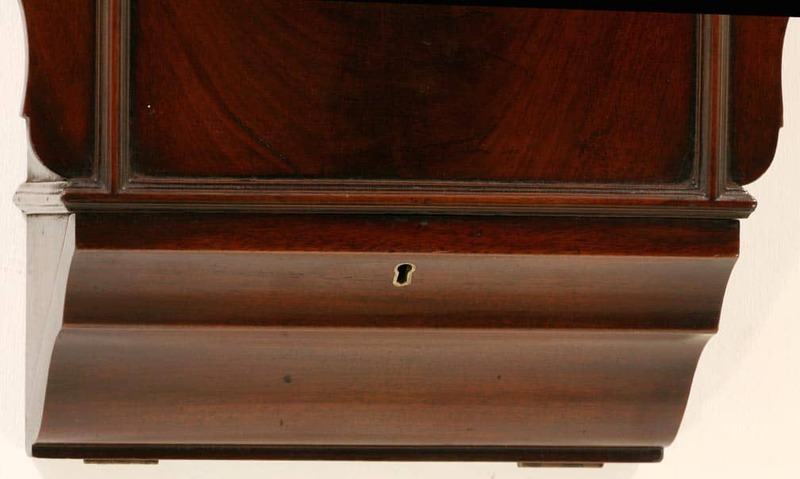 It has a cast brass bezel closing onto a nicely shaped wooden surround which is fitted with a lock. There are shaped ears to the chisel footed bottom of the case. This has a full length opening door moulded in an ogee shape. The door is lockable via a key. 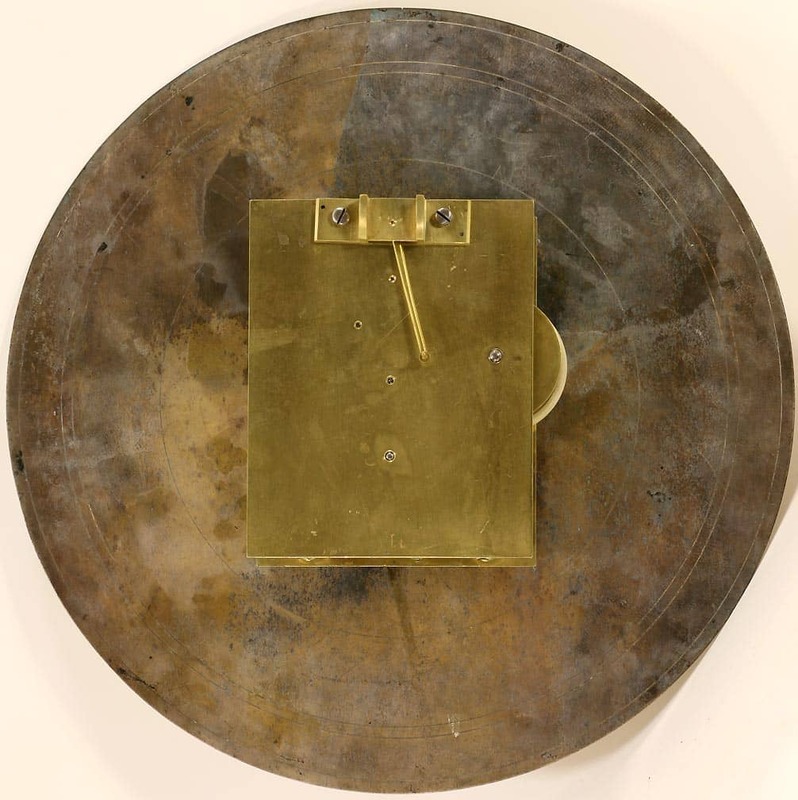 There are opening doors on both sides at the top of the case to gain access to the top of the pendulum. 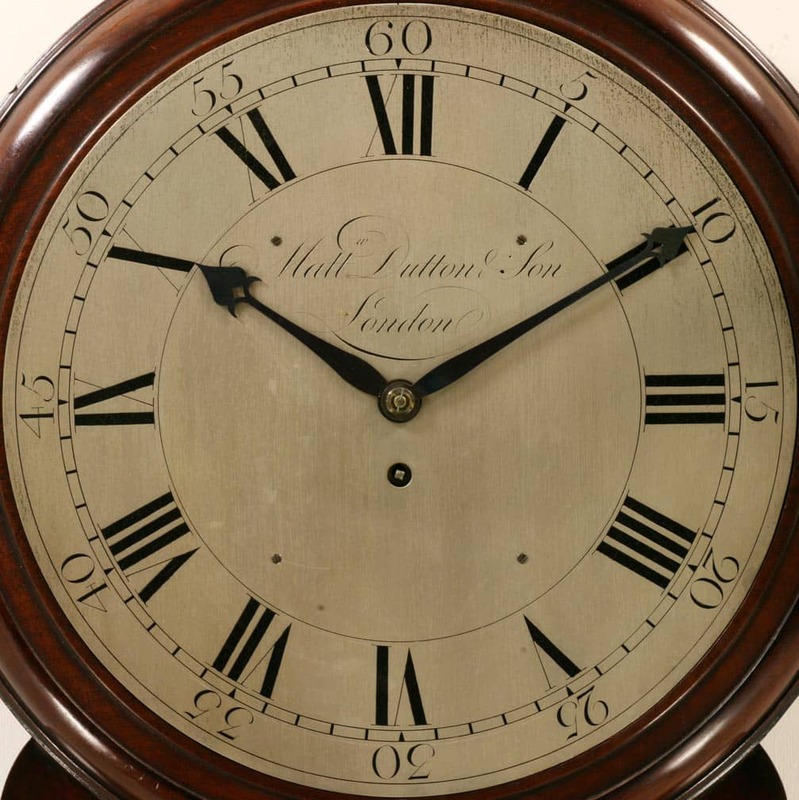 The 14″ brass silvered dial has Arabic outer numerals and Roman inner numerals and is signed in the centre, ‘Matthew Dutton & Son, London.’ It has the fretted heart shaped hands much favoured by Matthew’s father with slight ears to the two top lobes of the heart and a diamond cut out. The eight day gut fusee movement has squared plates and nicely knopped pillars. It has an anchor escapement and the steel rod pendulum, which is suspended via a regulator type suspension block, has a heavy brass bob.